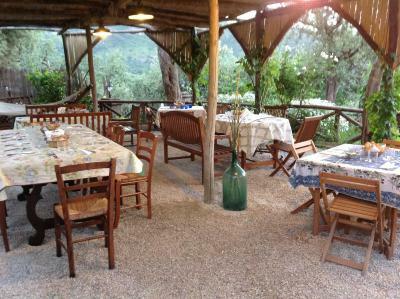 Lock in a great price for Agriturismo L'Olivara – rated 8.7 by recent guests! Home cooked meal. The view from location is great. Owner were excellent, friendly and helpful. Incredible place to stay away from the busy town. The property and views are outstanding, as are the hosts. The setting was a peaceful respite from the city and absolutely gorgeous. The proprietors, Antonella and Augustino were wonderful, gracious hosts. After navigating the hustle and bustle of a few cities in Italy, this was the perfect place to have some quiet time - although there is still plenty to do in the area. We can’t wait to return! The owners were lovely people, and their dogs were adorable! The location is superb - a peaceful haven only 15 minutes drive from bustling Sorrento. We loved the tranquillity and my teenage daughters loved the dogs! Antonella the host is what makes the place - really gorgeous lady who is happy to provide information or address any queries. Breakfast was superb with home and locally grown produce. Staff were fantastic thank you so much for a loveyl stay! The home cooking was especially amazing and great value for money! Thank you so much! Really warm and nice welcoming by the host and always helpful. The kids were happy about the dogs and cats and enjoyed the stay in the beautiful garden Beautifully located in the hills over Sorrento with a nice view. The hosts were amazing. The view over the city and Bay of Naples was spectacular. Our host was extremely helpful and accommodating. We felt so welcome and they went above and beyond to make us feel comfortable. AMAZING PLACE! 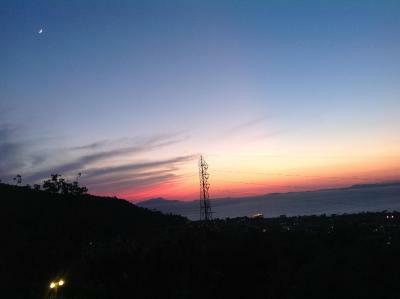 We had wonderful time, with amazing views for Capri Island and Piano di Sorrento from our balcony! Hosts were so kind, so nice and so helpful with choosing best beaches to visit which made our trip unforgettable! Room was very nice, clean, with awesome balcony and amazing view. We had espresso machine, small fridge and flat 32" TV. Bathroom was very nice with shower, hairdryer etc. Olive garden, few ponies and donkey, 3 dogs and few cats created very family atmosphere. Place is in very quiet location, with nice parking. It takes: 20 minutes to Positano 6 minutes to downtown of Piano di Sorrento About 30 minutes to 3 awesome beaches which were recommended by hosts - the most beautiful beaches I've ever seen. There were absolutely no minuses, only huge pluses! 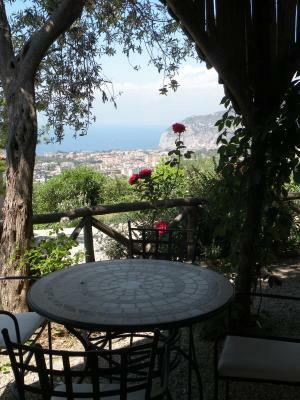 Set in the hills of the Sorrento Peninsula, Agriturismo L'Olivara offers beautiful view of the Gulf of Naples. A working farm, it was awarded best extra-virgin olive oil for the Campania region in 2011. L'Olivara Agriturismo offers country-style rooms and apartments. The rooms are located on the top floor of the farmhouse and features wood-beamed ceilings and beautiful sea views. The apartments are in a separate building and include a fully equipped kitchenette. A sweet Italian breakfast is available each morning in your room. 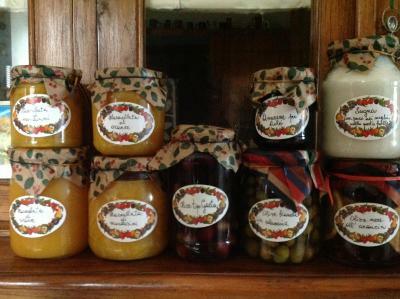 The seasonal restaurant serves specialties from Campania and the farm's own organic olive oil, jams and vegetables. Out in the garden you will find a BBQ and wood-burning oven where you can make your own pizza. Piano di Sorrento Train Station on the Circumvesuviana Line is 1.2 mi away. You can catch the train to Naples, Pompeii and Sorrento. Positano is 15 minutes away by car, while there are a number of interesting trekking paths in the area, including the famous Sentiero degli Dei. 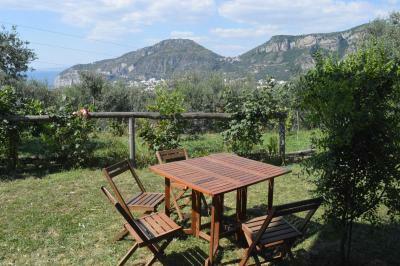 This property is also rated for the best value in Piano di Sorrento! Guests are getting more for their money when compared to other properties in this city. When would you like to stay at Agriturismo L'Olivara? Set on the top floor, this room has wood-beamed ceilings. 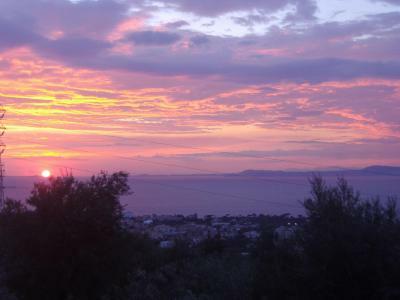 It offers a beautiful view of the Mediterranean Sea and the Gulf of Naples. It has an orthopedic mattress and a large bathroom with shower. The apartment is located in a separate building 33 feet away. It features 1 bedroom and a separate living room with sofa bed and kitchenette. 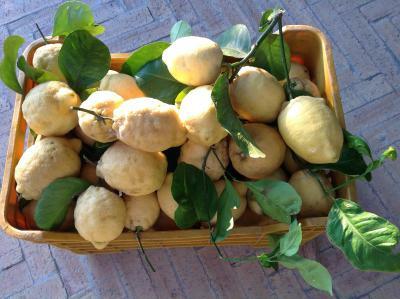 House Rules Agriturismo L'Olivara takes special requests – add in the next step! Agriturismo L&#39;Olivara accepts these cards and reserves the right to temporarily hold an amount prior to arrival. Agriturismo L'Olivara accepts these cards and reserves the right to temporarily hold an amount prior to arrival. Please let Agriturismo L'Olivara know your expected arrival time in advance. You can use the Special Requests box when booking or contact the property. Please inform Agriturismo L'Olivara of your expected arrival time in advance. You can use the Special Requests box when booking, or contact the property directly using the contact details in your confirmation. Traffic and driving standards - you need nerves of steel and a sense of humour. No "agra" available to enjoy. Beds were not comfortable. Barking dogs in neighbouring properties all night. A little out of town, a little difficult to get to without car. Transit is available if you can figure it out. Bed was a little uncomfortable. The place was just perfect with a lovely view from our balcony and the host, Antonella, the most friendliest person we ever met. She was always ready to help and had a marvelous Mediterranean spirit. We enjoyed staying at Olivara and planned to go back sometime in the near future! Thank you for everything! There is nothing we did not like. For those not accustomed to serious walking, a car is a must. We often walked the 15-20 minutes down into town (with a 7yo who hates walking) and took a cab back up (about 15-20 euro). Getting to Amalfi and other sites in the area is very doable with a car. Location is not at all handy if you do not have a car. It was very tiring to walk every day about 5- 7 km climbing and descending the narrow streets. lt is a very long distance from local trasport stations( bus or train ) l would definitelly use another location for the next trip to ltaly. People are very friendly in ltaly and help you find what you look for. Thank you the hosts for arranging the transfer to and from the aeroport to their property. We were maybe too early in the season, but for an agriturismo, we would have appreciated a somewhat more personable reception and were especially disappointed on the gastronomic side. For this form of accomodation that prides its on homemade, locally sourced products, the breakfast - to be prepared and consumed in our own room - was really poor (primarily prepackaged cookies/croissants and nespresso pads). There was no dinner option either. For those looking for a pretty B&B, this is a good spot, fans of agriturismo hospitality may want to look elsewhere. Fantastic location and amazing views, nice garden and room. 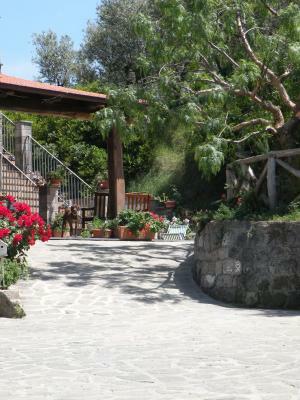 An amazing little farmhouse outside of the busy Sorrento. Antonella was incredible with helping us with the surroundings and booking excursions. The scenery around the property was outstanding. So glad we found this place!! Zio Sam was antonella’s friends restaurant which was recommended to us by her. We ended up eating there every night, with amazing fresh food, great choice and service at a very reasonable price instead Of actually going into Sorrento. The view is amazing! Owners are real nice, the dogs are very friendly and the room had just great! The shower was cold, even after waiting 10 minutes the best it ever got was lukewarm. We also had issues with the toilet running (which had to be fixed every time it was used, and probably made the hot water issues worse). The breakfast that other reviews raved about was not available, there were just some packaged store bought pastries and a couple pieces of fruit.